A beautiful white smile makes the perfect first impression! 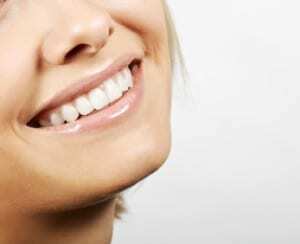 We offer several different teeth whitening techniques to transform your stained or discolored teeth into a stunning smile. Are you looking for that inner confidence that comes from an ultra white smile? Teeth whitening can give you a smile you’re proud to show others. The most effective technique to whiten your teeth is through the use of bleaching trays. Outlined below, we have three teeth whitening options to choose from. Ultradent’s Opalescence Boost is an in-office treatment where the bleaching agent is chemically activated. There is no harsh laser exposure or light with this method, as is used with the popular Zoom whitening system. We feel the results are better and longer lasting with the Boost product for effective teeth whitening. If convenience is a top priority for you, we will prepare the bleaching trays in the office and your teeth will be whitened in one visit. This procedure takes approximately an hour and 20 minutes, or three rounds of 20 minutes each. We follow-up this treatment with a gingival liquid barrier. Feel free to bring along your favorite tunes or movie while your teeth are brightened! With our power teeth whitening system, we incorporate the take-home whitening trays with a combination of in-office visits for superior results. Impressions of your teeth will be taken and clear plastic teeth whitening trays will be customized for your teeth. First off, we do two rounds in the office, followed by two weeks of take-home trays, then you come back for two more rounds of treatment in the office. Your teeth will be noticeably and permanently whitened. We know it’s tempting to purchase over-the-counter teeth whitening white strips, but in the long-run you will not be satisfied with the results. White strips are much weaker than in-office whitening techniques. These white strips simply do not remain on the teeth long enough to achieve that bright white smile you’re after. Some of these products actually have been known to cause damage to your teeth. Call our office to find out how you can achieve your whitest smile.